Here is the early work of this central figure in 20th century poetry in all its power and dazzling variety. Considered by many to be the most characteristically American of our twentieth-century poets, William Carlos Williams “wanted to write a poem/ that you would understand./ …But you got to try hard – ” So that readers could more fully understand the extent of Williams’ radical simplicity, all of his published poetry–excluding Paterson, was reissued in two definitive volumes in 1986 and 1988. Now available as a New Directions Paperbook, this first volume of The Collected Poems of William Carlos Williams, covering the years 1909 through 1939, begins with the first collection of poems Williams wished to preserve, The Tempers (1913), and includes successive volumes through Adam & Eve & The City (1936) with their contents intact. Uncollected poems of each period are inserted between individual volumes in order of first publication. 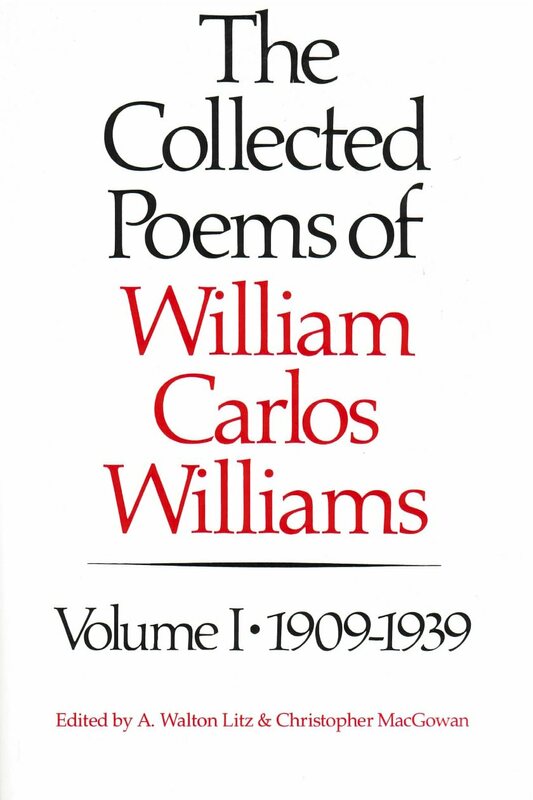 This careful attention to chronology enables the reader to chart the large contours of Williams’ early career and to appreciate the enormous advances in technique he made during his first decade as a poet. Extensive annotations by the editors (A. Walton Litz, Holmes Professor of English Literature at Princeton University, and Christopher MacGowan of the College of William and Mary) include significant textual variants as well as a wealth of previously unavailable background information on the poems.